RIE4002 OPPORTUNITY !!! FULL OPTION!!! The house is located in El Raso, one of the most beautiful suburbs just two kilometers away from the beautiful beaches of Guardamar del Segura. With views of the natural lakes of La Mata and just a few minutes drive to the city, El Raso is ideally situated for your dream home. There you can find all the facilities in an established commercial area with bars, restaurants, supermarkets, banks, hairdressing salons, beauty salon, bodega, veterinary clinic, bus service and a catchment area for schools. You can play at the various golf courses nearby, just 2 km away you will find La Marquesa and La Finca Golf or Villamartín 5 km away. Located in urbanization El Raso, Guardamar. Just 5 minutes from the beach of Guardamar. 500m from the salt lake. At 5 minutes from the golf course La Marquesa. 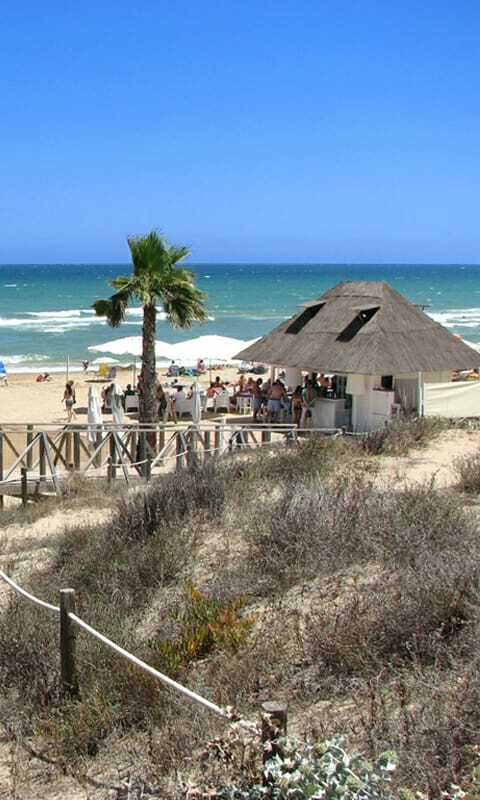 In terms of leisure, sport and nature, Guardamar has activities such as exhibitions, concerts, theater and dance. You can also practice water sports, diving, hiking and cycling. The city has sports facilities and swimming pools. Two international airports are within a radius of 30 km: El Altet (Alicante) and San Javier; less than 10 km from the A7 and A15 motorways and the AP7 toll road. This beautiful detached villa is located in Guardamar del Segura (Alicante). The residence offers the best quality, fully prepared for the comfort of your family. This detached villa has a large living room, three bedrooms, three bathrooms, storage room - laundry room, a modern fully equipped kitchen with Miele white goods included, large terraces and a beautifully landscaped garden with a swimming pool that is also heated. The decor of the interior maximizes the space through the use of natural colors such as beige and white, making the rooms look brighter. The leather armchairs are perfectly integrated with the rest of the furniture, such as the use of the extendable table, the extra kitchen cabinets. A cozy living room that invites you to stay. From the kitchen you can see the whole room. The design crystal and the iron staircase form the center piece and take us to the top floor where the rest of the bedrooms are located. They are decorated according to the color palette of the whole house and mix the design, such as the easy chairs (Charles Eames) that are inspired by the parties that we can have in every person, with lamps hanging low on the ceilings. The marble floors submerge us in a relaxed atmosphere, combining crystals and large mirrors, just like in a spa. Materials of the highest quality and modern design were selected for construction. This house offers the buyer the best quality house with all modern comforts: fully equipped kitchen, Smart Home system, air conditioning full comfort installation, automatic blinds, double glazed windows, marble floor tiles, alarm system with cameras view on your smart phone, parking space with automatic gate. With this house you invest in comfort, health and happiness for your family. Thermal and acoustic interior wall. Black slate facade. Washable stucco on the first floor. Aluminum carpentry with solar control glass. Security iroko gate and hickory nish interior doors. aluminum doors, cupboards and shelf with bar. White shower with sidewalk and clear glass screen. Model "ROCK" rain shower heads. Built sanitary model "Meridian ROCA" with cushioned covers. 150 liters of electric water heater. Solar panel for hot water. White kitchen cabinets and goods. Hickory wooden front cabinets. Integrated MIELE induction hob and NOVY extraction hood. TV, telephone and internet in every bedroom and living room kitchen. Large ceramic tiles in bathrooms with marble walls and a tiled shower. Inside staircase with iron, marble steps and glass balustrade below and extra stainless steel armrest. Parking for 2 cars and entrance with printed concrete. High-quality non-slip floors made of vitrified clay. Natural looking artificial grass and trees with automatic irrigation. Air conditioning installation Cold and warm. Stucco walls on the outside of the fence with sloping eaves and aluminum slats. Outside stainless steel railing with glass. Distance to beach: 2,4 km.